Note: Todays workout is for max weight, not speed. On average, Athletes will have 90 seconds of recovery time between lifts. Work up to the most possible weight for this complex. How many people can perform todays complex with bodyweight or more? Athletes should look for opportunities to string these movements together. 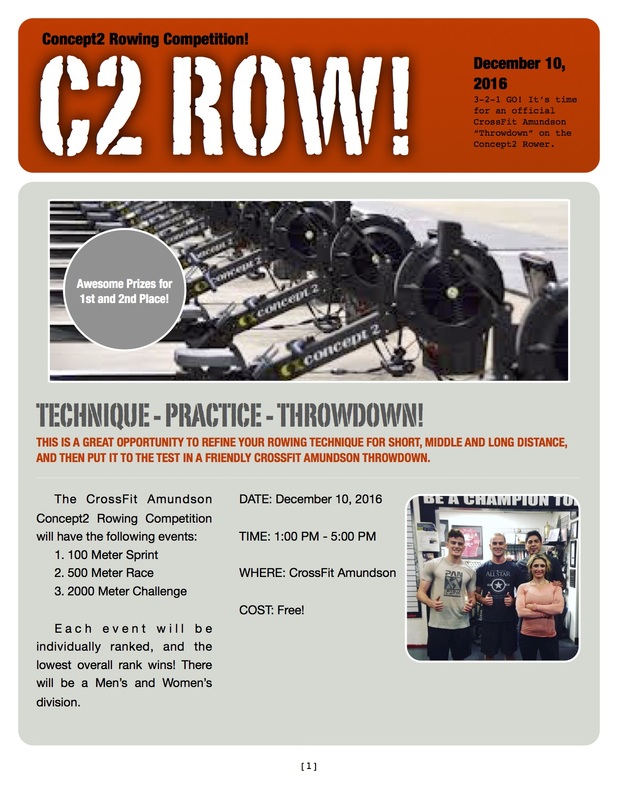 Concept2 Rowing Competition is this Saturday! Our 8AM Light Workout will be the same programming as HQ. 5PM Light Warrior Circuit with Coach.